Erin Woodford RN, BSN, works with each patient to customize a treatment plan for healthier, more youthful-looking skin. 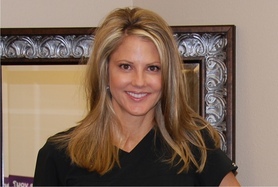 She offers personalized, non-surgical approaches to treat most cosmetic and skin care concerns. What truly distinguishes Erin from her competitors is her medical expeience, personal attention, her clients' beautiful results. Erin has been a Registered Nurse since 1998. Working mainly in the areas of ICU and Emergency, medical aesthetics is a now a passion of Erin's. Since the beginning of 2013, she has been working side by side and training with experienced injectors to become proficient in medical injectables.